The Chicago Bears boasted one of the most fear-inducing defensive squads last season in recent memory. However, they ​lost safety Adrian Amos to the rival Green Bay Packers, leaving a hole in their secondary. It appears the Bears have a replacement plan in place. According to NFL insider Ian Rapoport, the Bears are hosting a visit on Wednesday night and on Thursday with former Green Bay Packers and Washington Redskins safety ​Ha Ha Clinton-Dix. ​​As Rapoport notes, the Redskins attempted to re-sign Clinton-Dix, even though they​ locked in Landon Collins to a massive six-year contract. The attempts, as of this writing, were unsuccessful, allowing the Bears to pounce. Clinton-Dix has spent the majority of his career in the NFC North, as he built up a strong knowledge on each of the division's starting quarterbacks. However, Chicago would look to use Clinton-Dix to gameplan for Packers quarterback Aaron Rodgers, who has been a thorn in the side of the Bears for the past decade. 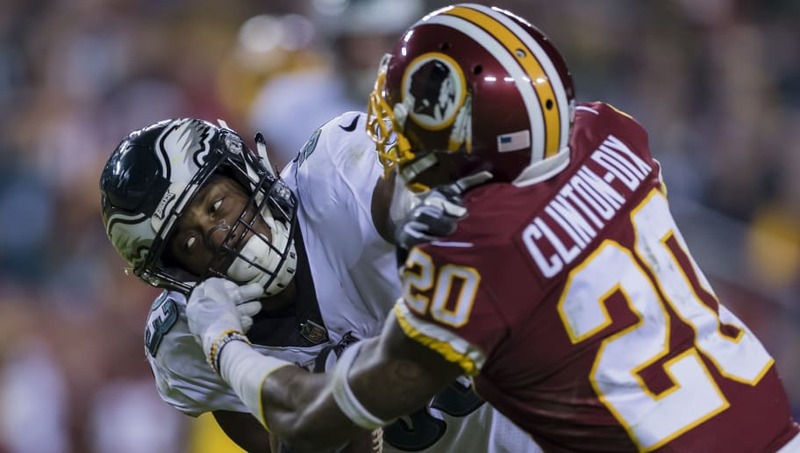 Last season with the Packers and Redskins, Clinton-Dix recorded 93 tackles, six passes defensed, three interceptions and two forced fumbles. Will the Bears be able to get a deal done by Thursday? Or will Clinton-Dix continue his free agency tour. Whatever the case may be, Chicago will try its harde to sign him to a contract.